Etihad Airways provides an iOS app that is compatible with iPhone, iPod, and iPad. 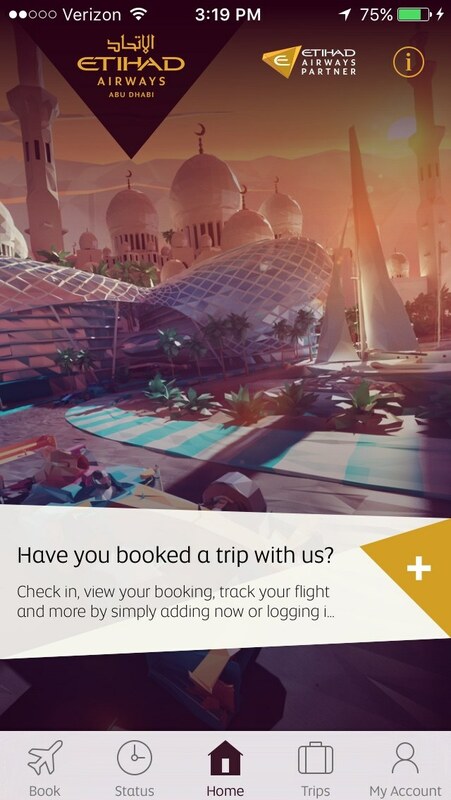 Etihad Guest members will also be able to use the app to manage their profile, view account activity, and more right from the app. Instead of downloading the mobile app, you can try visiting the mobile website of Etihad Airways to find flights and manage reservations. Click here for their website.